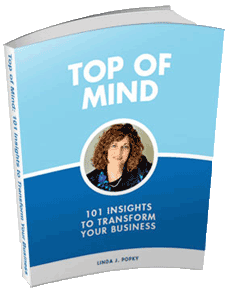 This program, developed under the guidance of Alan Weiss with his endorsement, will be delivered by marketing expert Linda Popky, a Master Mentor and member of Alan Weiss’ Million Dollar Consultant® Hall of Fame. Reviews of last year’s program were outstanding. You will emerge from this session with a tight, focused strategy for targeting and acquiring new clients through new, repeat, and referral business. You will finish this session with a clear action plan for raising your fees, zeroing in on value your clients will gladly pay for, and taking your practice to the next level in the fee progression strategy. Write specific objectives, measures, and value statements. Present options for achieving the objectives. Write a proposal that will be accepted. 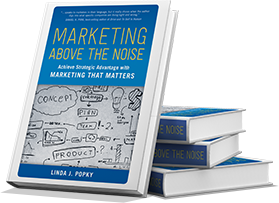 Linda Popky’s Top Tips for Better Branding. Learn how to apply the principles of powerful branding, as used by some of the country’s leading companies, to your own consulting business. 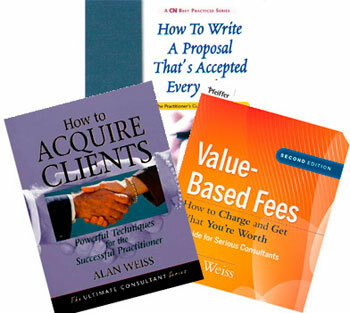 Each participant will be able to choose ONE of the following books for free. The FIRST TEN to register will receive all three.